World Culture Month is here! You are here: Wade Thomas Parents Association > Programs > All Posts > Featured > World Culture Month is here! 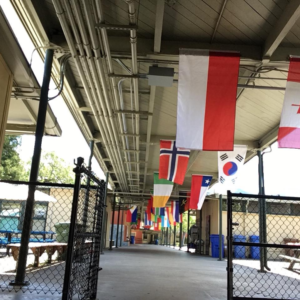 The International Day Flags are hung at Wade Thomas! 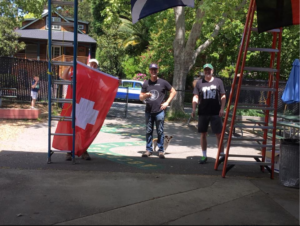 A special thank you to: Bryan Hendon (Greyson 1st grade), Doug Penman (Jasper 1st grade), and Dan Hamilton (Isaac 1st grade). This marks the start of World Culture Month, when our students are engaged in learning about countries around the world. 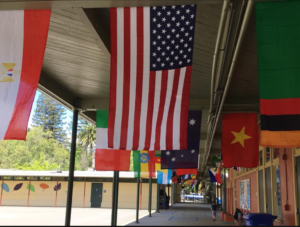 Each class will represent their country on International Day, May 30, a day of dancing, food, and fun! ← Measure E is on the June ballot!